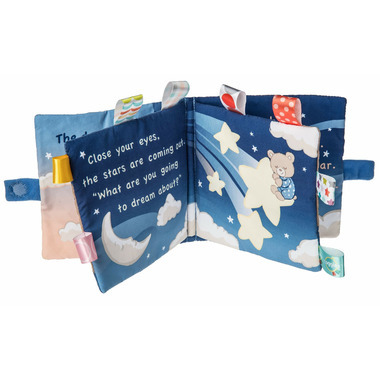 This soft book featuring Starry Night Teddy in a fun, calming, simplistic, short bedtime story. 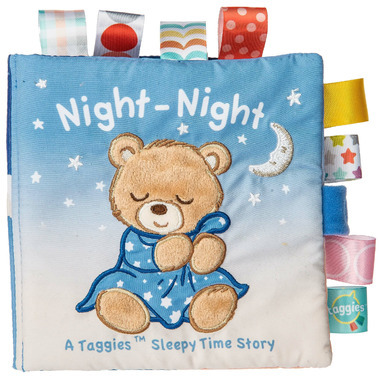 Babies will be amused by both the story and the Taggies ribbon loops on every page. Book is approximately 6" x 6"